Moon Valley Organics is a honey-based line, and they truly care about the bees who make it all possible. 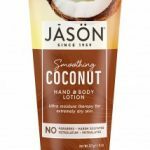 This vegetarian company offers luxurious, sweet-smelling products that feel like a luxurious balm for your body. You can fully enjoy this luxury, knowing that Moon Valley donates ten percent of the net profits from their lip balms to organizations that work hard to promote pollinator health through conservation, legislation and research. Each year, this company chooses a different Bee Cause to support. It goes without saying that Moon Valley harvests its honey and beeswax with the utmost respect for the bees. None of their ingredients are ever tested on animals. 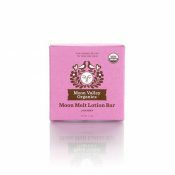 You can peruse the company’s offerings on their beautiful website, www.moonvalleyorganics.com. 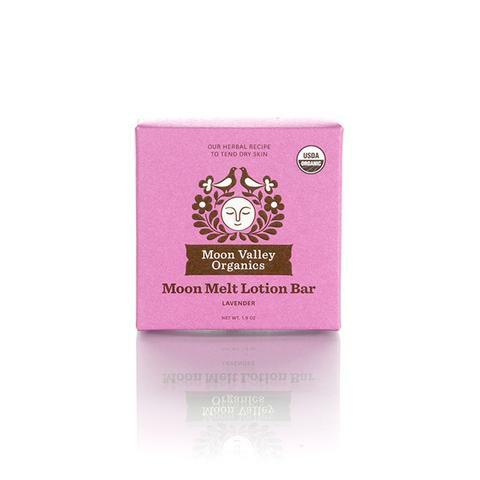 During a recent spa visit, we picked up a Lavender Moon Melt Lotion Bar ($11.99). No scent relaxes as much as lavender, with its sweet but sensual notes. 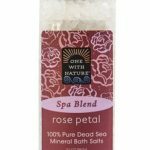 You can use this soothing bar on any part of your body, especially dry areas. 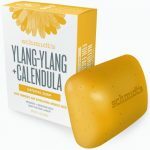 Beeswax imparts a creamy texture and a delicate scent, while calendula and comfrey add additional medicinal properties. The bar comes in a handy, recyclable tin, and the box is made from post consumer recycled content. Moon Valley offers an array of lip balms at a great price ($2.99). Our current favorite is the Juicy Blackberry Beeswax Lip Balm. The gluten-free product comes in a recyclable tube. 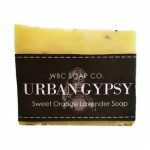 Organic cold-pressed oils, beeswax and blackberry combine to create a lovely elixir. 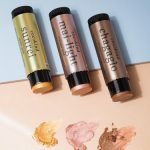 Though made specifically for your lips, you can also use it on cuticles and around your eyes to moisturize and remove makeup. This offering is sure to delight! Your tight muscles often need attention, and Moon Valley has you covered with their Muscle Rub ($12.99). 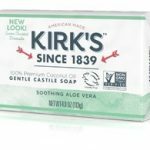 The dynamic combination of arnica and cayenne creates an invigorating emollient, one that will sink into your tight areas and have you saying, “Ah….” Take a look at the other ingredients (all organic! ): safflower oil, beeswax, safflower herb, orange essential oil, ginger, lobelia, arnica, tapioca starch, habanero, clove oil, and vitamin E. You’ll be begging your loved ones for a massage! Your Moon Valley purchase supports a certified organic, Washington state-based company that truly cares about the earth. Though not a vegan company, they are vegetarian and compassionate towards bees. Moon Valley offers free shipping on all orders over $75, as well as a generous rewards program. They even offer a clothing line! Check out their website for specific details. You’ll love these products, and will want to order as many as your budget can afford. Fortunately, they’re quite economical! Enjoy. Moon Valley Organics creates honey-based products with compassion and respect for the bees who make it all possible. Their offerings are organic, and none of the ingredients are ever tested on animals.